So I'm sure you guys remember Meghan from the last time we switched blogs. I love Meghan she is so sweet & her blog is great, my favorite thing to read about are her pups (they're so cute!). We thought it would be a good idea to switch again since it was so much fun last time! I am obsessed with the awesome thing that Meg is going to tell you about & it doesn't hurt that it coincides with my favorite holiday. 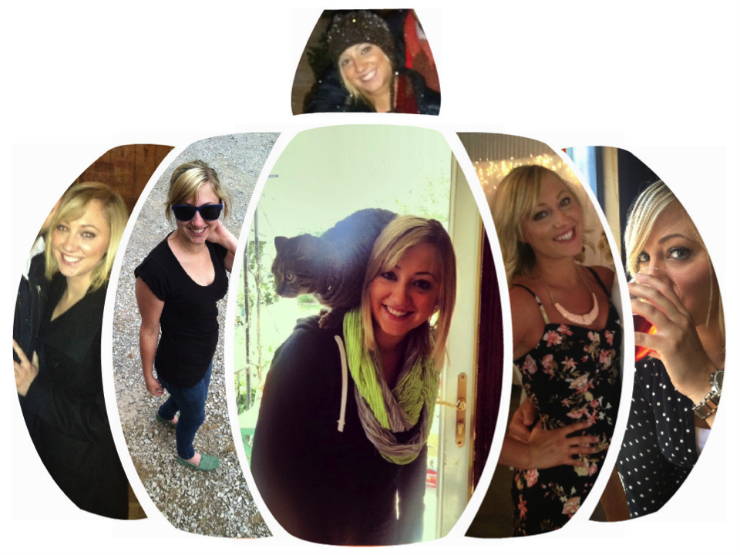 She also has the coolest picture collages to share! Enjoy & make sure to hop over to Chasing Elephants to read my post that I did over there! 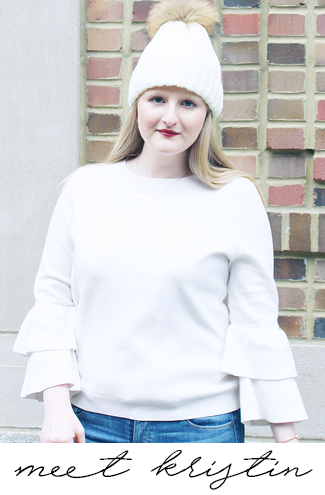 I’m Meg and I blog over at Chasing Elephants. Kristin and I just love one another’s blogs so much that we decided to switch for a second time! We had been talking about Halloween since duhhhh it’s Halloween! And I have to admit that I don’t have much to talk about on the topic of Halloween other than my kid days and slutty Halloween days. It’s not that I don’t like Halloween it’s just that this will be my 3rd year in a row that I have not had a costume or been to a Halloween party (insert shocked face here). For a good solid week I had thought about having a Halloween Party but then somewhere and by somewhere I mean Pinterest I discovered Friendsgiving. What a fantastic idea. This year I won’t be around family for the thanksgiving holiday and I always get sad when I’m not with my family during these times. This was a perfect solution. 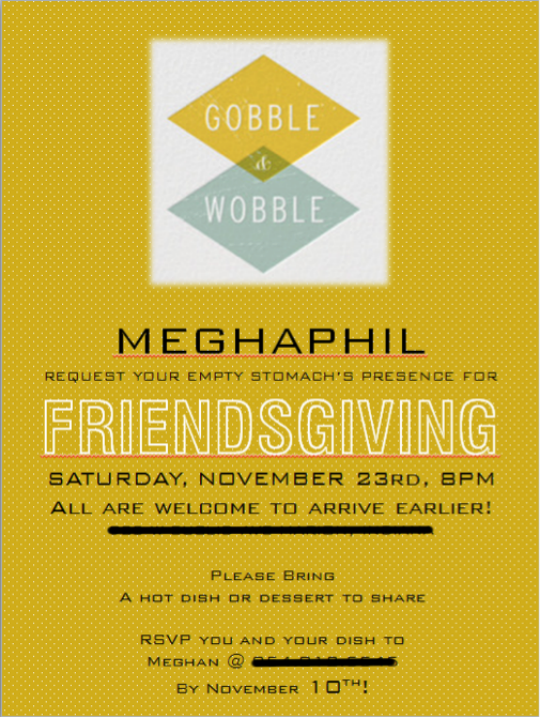 Goodbye Halloween Party and Hello Friendsgiving! I’ve never thrown anything like this before so it will most certainly be challenging, hilarious and interesting. So I’ve been spending lots of time on Pinterest looking for ideas and preparing for the day, which I decided on November 23rd. I got all fancy and even made invites and sent them by mail! I wanted to go the extra lil bit and give it that personal touch. I’ve also put together a spreadsheet that includes everyone that was invited, did they RSVP, what dish are they bringing, are they bringing a date, do they need to stay over, and did I send the invite. I think it’s super important to be organized a. I don’t want to be so stressed out that this day isn’t fun and b. we don’t want the same 5 dishes. Check out some of my décor inspirations! Currently I’m obsessing over gold, which is weird because I used to despise it. It’s funny to see how your tastes change over the years. There is still so much to do to get ready! This evening a friend and I are going to try to have some of these pinterest inspirations come to life. I’m def no Martha Stewart or Kristin for that matter so hopefully I can create something that is semi decent. Also, I’m having the hardest time coming up with the menu. I’m terrified of cooking a turkey because I’ve never done that before and all I can picture is my turkey coming out like on Christmas Vacation and it totally deflates. But at the same time I’m excited because I enjoy cooking. I gave my bf the job of finding a big enough table and additional chairs to fit everyone. He’s got it easy! I still need to find a table cloth, dinnerware, candles, pumpkins, and probably a lot more I just haven’t gotten that far. If you have thrown anything like this and have any tips and tricks please let me know because I’m over here like “I’m a dinner party host virgin”. Thanks again to Kristin for letting me take over her blog for the day. You can find me on Twitter, Facebook, Instagram, Pinterest, and Bloglovin! So a few years back I started making homemade chocolate frosting. I have to be honest, I'm not a big frosting person at all, but this is one of the only two I will eat (& I'll only eat it on yellow cake!). I love sweets, but I'm very picky about my cake! I got this recipe off of the Hershey Cocoa box, & it's the best. Literally everyone I've ever made it for goes crazy. 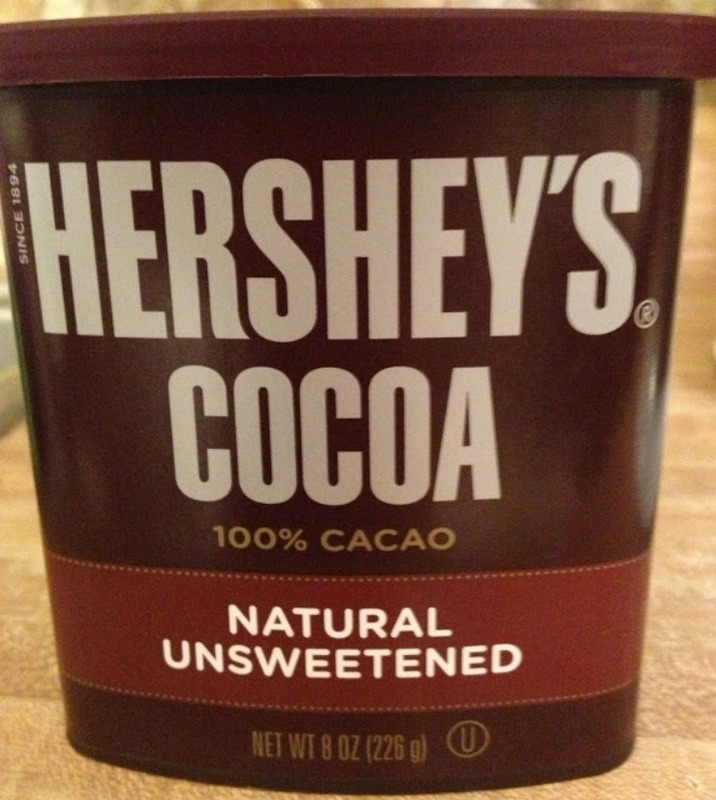 Ingredients: 1/2 cup butter, melted 2/3 cup Hershey's Cocoa 3 cups powdered sugar 1/3 cup milk 1 tsp. vanilla extract Instructions: Combine using a mixer with paddle attachment. -Stir cocoa into melted butter. -Alternately add powdered sugar & milk, beating on medium speed to spreading consistency. -If needed add more milk, I usually add a few extra splashes. -Stir in vanilla. Makes about 2 cups frosting. I have to warn you: if you make this you will get addicted! Do you ever make homemade frosting? It's no secret that I love glitter. 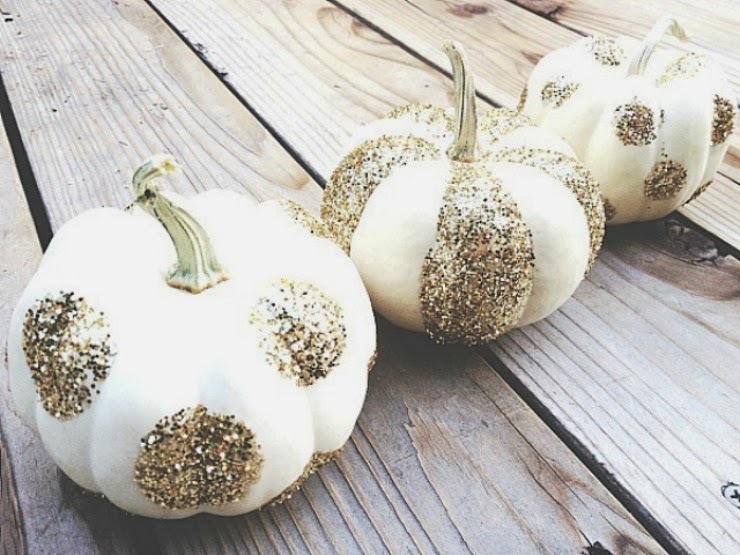 I honestly think that a little tasteful glitter can make anything better, so when Dara posted this picture of pumpkin inspiration, I knew I had to have glitter pumpkins! I had so much fun making my pumpkins that I wanted to share it with everyone. I found a package of 6 mini pumpkins at Wegmans that came with its own set of paints (I didn't use them though), it was actually a 'paint a pumpkin' kit for little kids, but I just loved how tiny the pumpkins were so I had to get them! Step 1- Paint the pumpkins black. I painted the top half first & waited for it to dry, then I turned them over & painted the bottom half. Step 2- Allow them to completely dry. Step 3- Take a paint brush & dip it in Mod Podge, on one of the pumpkins paint the design you want. Tip: If you are doing polka dots on your pumpkins like I did, I recommend painting them like the picture below (without the lines). If you do the dots in a zig zag pattern all the way down the pumpkin it will produce the perfect polka dot pattern. Also only paint a few dots at a time so the Mod Podge doesn't dry before you get to put the glitter on. Step 5- Take a clean paint brush to flick off the excess pieces of glitter. Step 5- Allow to dry. These were so easy to make & I was really happy with how they turned out. 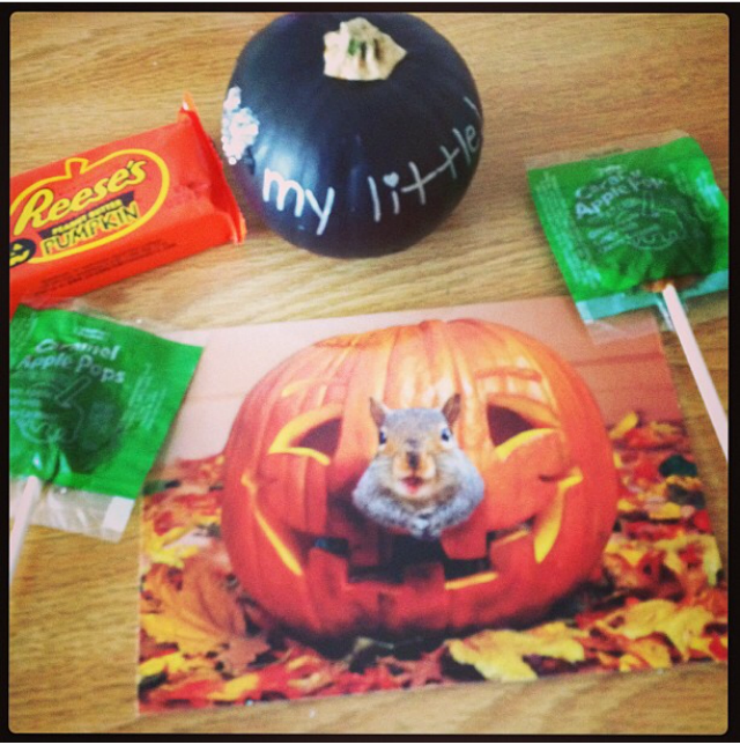 I even made one for my Little & put it together with some Halloween candy & a card for her. You can't completely see in the picture, but I wrote "I [heart] my little! ", I wrote it out in metallic Sharpie, & then did the heart in glitter; on the back of the pumpkin I put our sorority greek letters in glitter too! If you don't feel like using glitter you can also just write on the pumpkins with metallic Sharpies. 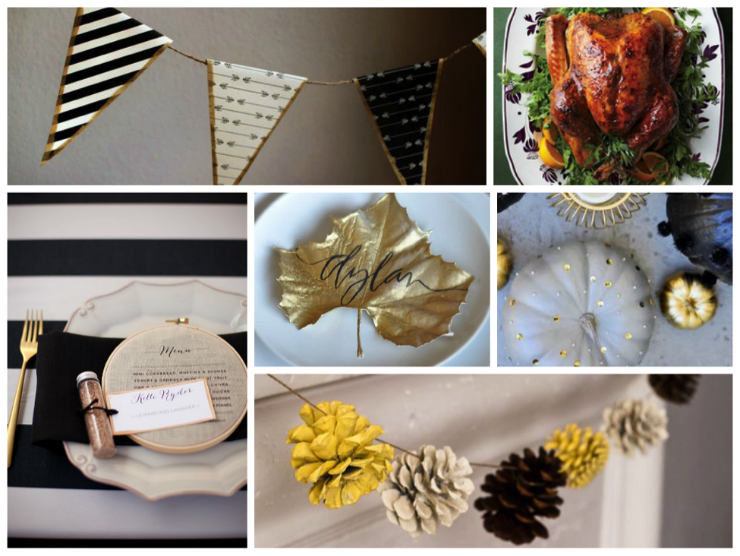 I had a blast with all of this, they've made such cute decorations & a fun gift as well. I hope you can have fun making them too! Have you done any halloween crafting?